“Water is considered one of the fundamental requirements for life. 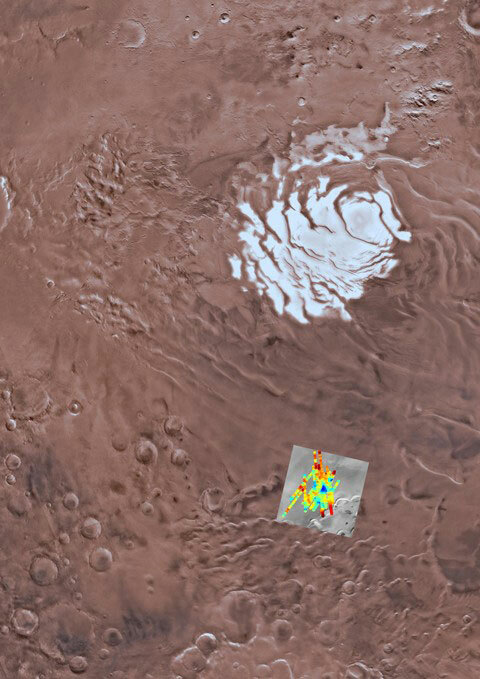 This is the first stable body of liquid water ever found on Mars, and it could be considered a potential habitat,” explained Roberto Orosei, a lead scientist at the Institute of Radioastronomy in Italy who analyzed the data. “We found, in fact, that any other explanation for the very strong [radar] echoes were not very tenable in light of the evidence that we had available. 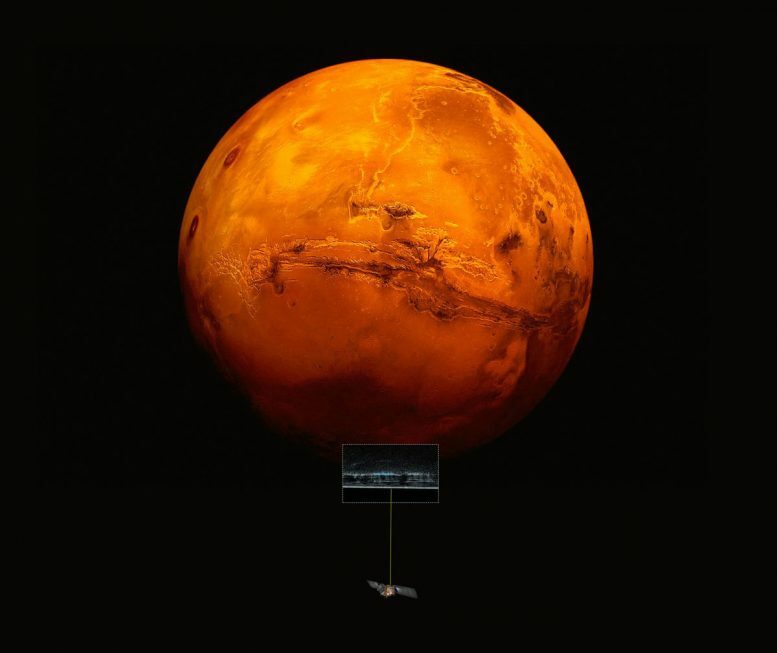 So we had to conclude that there is water on Mars, today,” said Orosei. Orosei said that this subsurface body of water is at least as cold as 14° Fahrenheit (minus 10°Celsius, but could be as low as minus 76°F (minus 60°C). “This is certainly not a very pleasant environment for life … However, there are [analogous organisms] on Earth, in the subglacial lakes of Antarctica. There, water is salty and there are single-cell organisms that survive in such an environment, with a metabolism that makes use of the salts in the water,” he said. Much more work needs to be done to confirm that the lake is liquid water, the researchers said, and there is no evidence yet that life exists in the lake. “Getting [to the reservoir] and acquiring the final evidence that this is indeed a lake will not be an easy task. It will require flying a robot there, which is capable of drilling through 1.5 kilometers of ice. And this will certainly require some technological developments that, at the moment, are not available,” Orosei said. Be the first to comment on "Radar Probe Reveals Huge Reservoir of Liquid Water Under Mars’ Surface"